Grazing tables are a great way to entertain guests at your event. Grazing tables are visibly appealing, and will be sure to be a talking point with your guests. Tables can be set up on site for any event held at Omata Estate, or even better we can come to you (local events only). Cost per head ranging between $8-$25 depending on requirements. 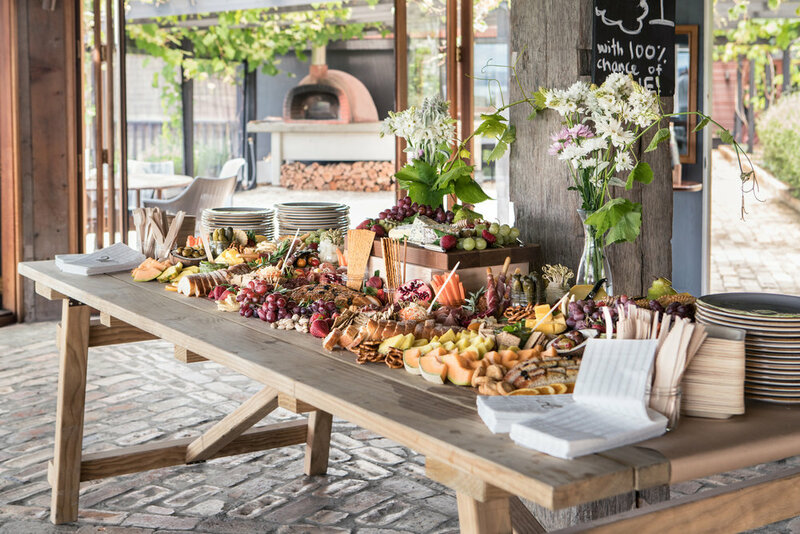 Grazing tables display an array of local cheeses, meats, seafood items, antipasto selection, artisan crackers, fresh bakery breads, fresh fruits, fresh vegetables, dried fruits, nuts & a selection of other tasty morsels.